An antibacterial cleansing gel to exfoliate and promote clearer, smoother skin. Blended with Aloe Vera, fine ground Bamboo and pure essential oils of Lime, Lemongrass, Geranium Bourbon and Siberian Fir Needle. 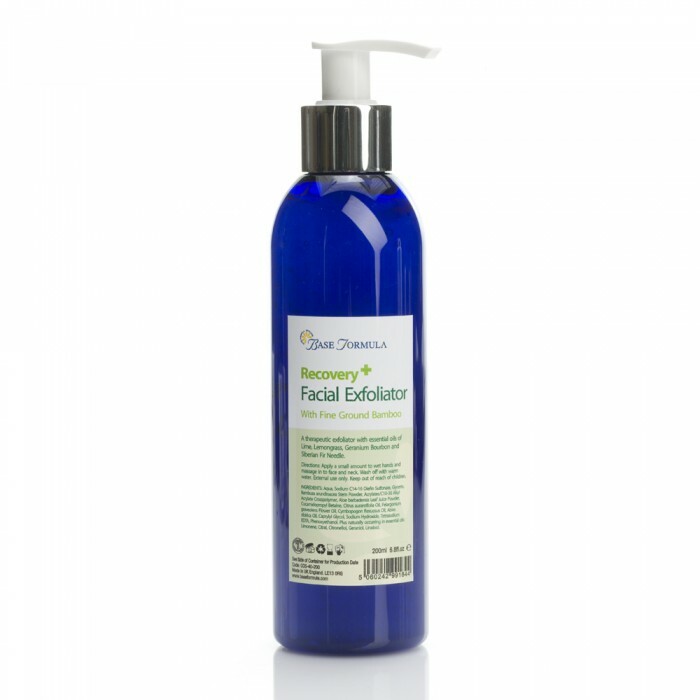 An antibacterial aromatherapy facial wash with natural exfoliating particles to remove impurities and smooth the skin. 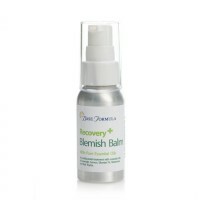 Aloe Vera helps to soften, nourish and balance the skin’s natural moisture levels. The tiny particles of fine ground Bamboo gently remove impurities and dead skin cells to reveal clearer, more radiant looking skin. Lime and Lemongrass essential oil have antiseptic, antibacterial and astringent properties that are beneficial for oily and acne prone skin. Geranium Bourbon essential oil helps balance sebum production and boosts the skin’s regeneration process. Siberian Fir Needle essential oil has an antiseptic, antibacterial action and a drying effect on the skin which helps to reduce excess oil. 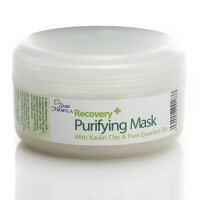 Directions: Apply a small amount of Recovery Facial Exfoliator to wet hands and massage in to face and neck with small circular motions. Rinse with warm water. Gentle enough to be used on a daily basis.